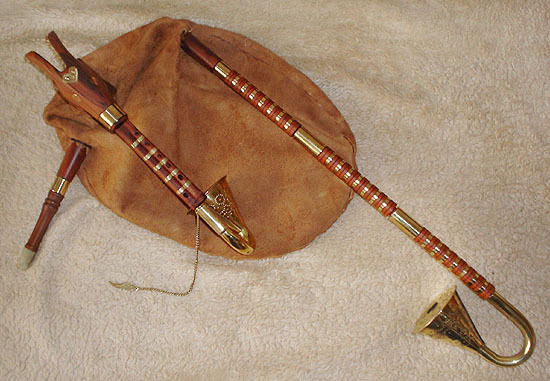 Bagpipes of the area of Pohronsky Inovec mountains, called „lehotske gajdy“, come from three villages: Velka Lehota, Mala Lehota and Jedlove Kostolany, and adjacent crofters' settlement. 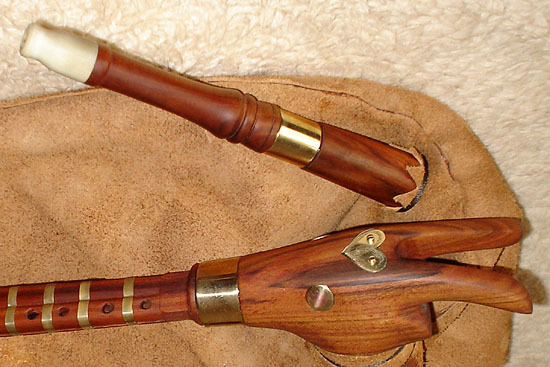 These three-voice bagpipes have a chanter with the melody pipe closed at the lower end. 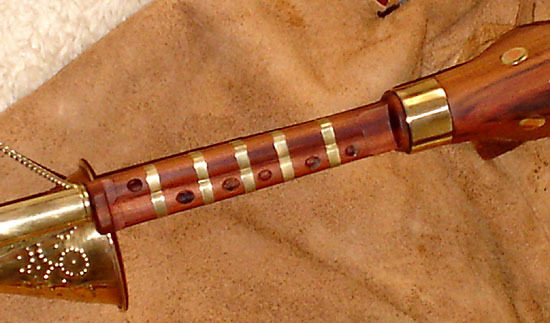 The chanter – gajdica – has two bores. The right one – hucik – has one fingerhole (kontra). 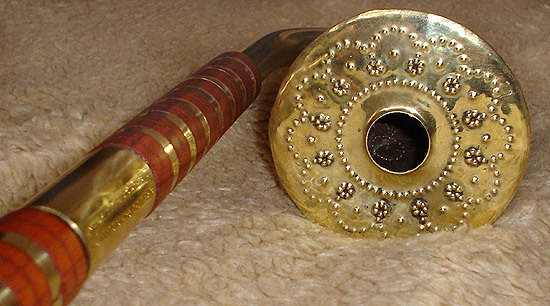 It plays low fourth when covered (with right hand's ring finger), and the tonic when open.. Abeceda, the melody pipe on the left side has 5 fingerholes in front and a thumbhole on the rear. When all 6 are covered, it emits no sound, being closed at the end with a small wooden plug. This feature emphasizes the staccato effect of the local piping style. Gajdica is usualy placed in an angled stock, carved in a shape of a goat's head (kozicka), or in a simple stock (klatka). 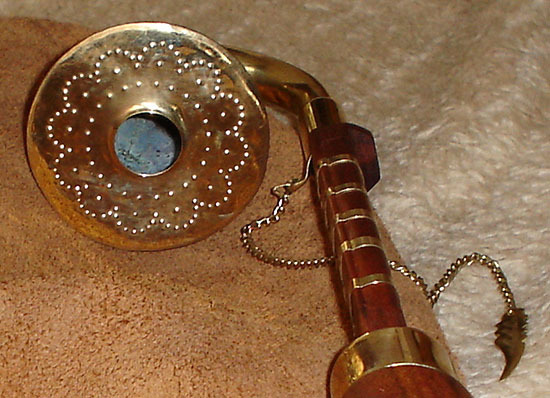 Typical features of these bagpipes are their high pitch in b flat, b or c, funnel-like bells - trachtare - rolled from a brass sheet, and decorative brass rings on both drone and chanter.